With Grand Challenges Canada’s support, Access Afya will expand its chain of low-cost, quality-assured micro-clinics and field-based health programs in the slums of Nairobi, Kenya. 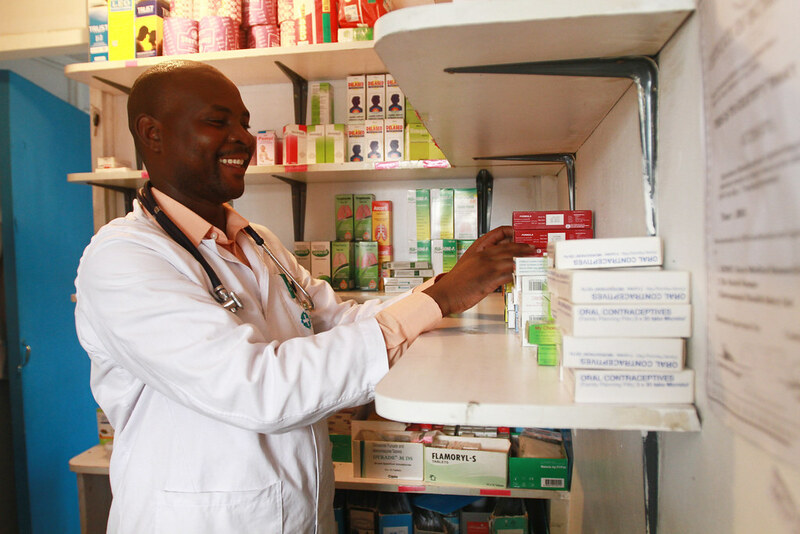 Access Afya has already reached more than 10,000 low-income patients through two microclinics and health programs in Mukuru, Nairobi’s third largest slum. The additional funding will help open two new clinics and expand health programs, extending reliable health services to an estimated 15,000 new patients. Access Afya’s neighborhood micro-clinics provide a wide range of quality healthcare products and services to the poorest of the poor. The affordable, high quality primary healthcare includes pediatric care such as immunizations and services to combat diarrhea, infectious diseases and malnutrition, enabling children to thrive in school. 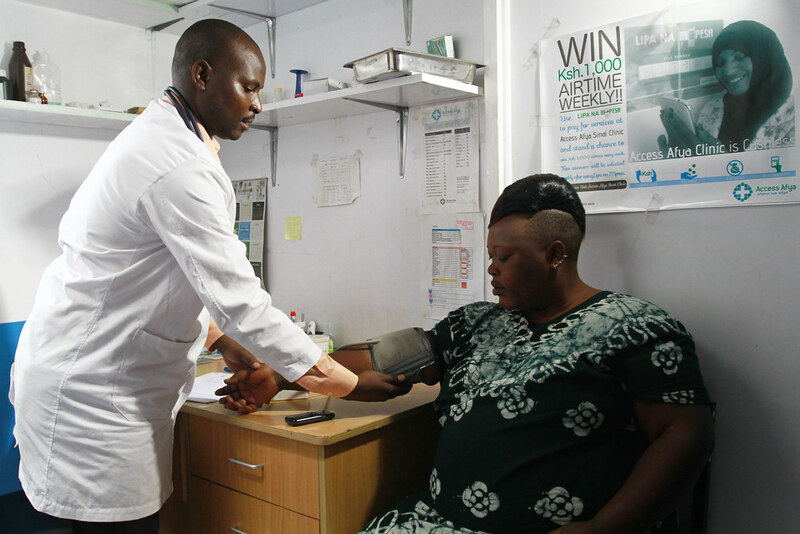 The clinics also focus on care for women and girls, offering antenatal and postnatal care, family planning services and more. Access Afya uses responsible task shifting and technology to lower the costs of care. 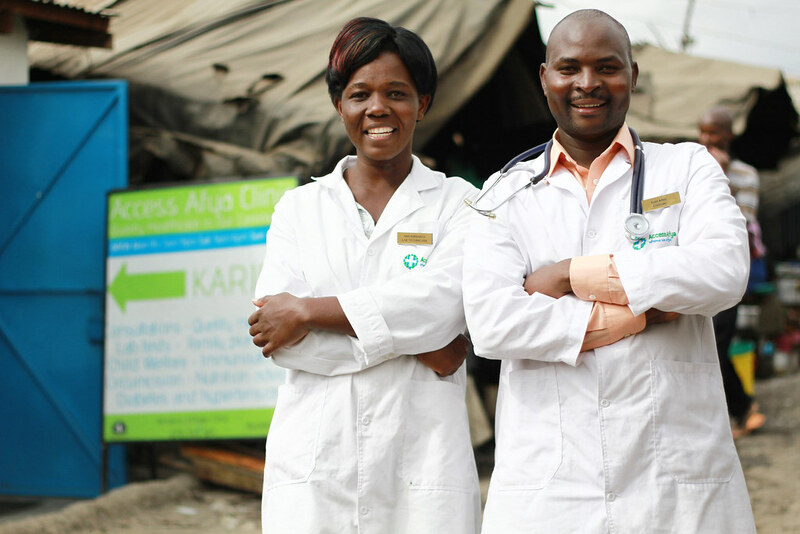 Every patient gets to consult with Kenyan Clinical Officers, who are supported within the clinic by community members hired to do administrative work and supported remotely by internal and external doctors and specialists who step in when needed. Access Afya tracks outcomes for every single patient, meaning they know not just the number of people they serve but also if sick patients get better, or if women are satisfied with their family planning choices. The micro-clinics act as anchors for Access Afya’s Healthy Schools and Healthy Factories programs, which offer proactive health services and education at nearby schools and workplaces in the community, such as regular deworming for students and risk screening days for casual labourers. The Healthy Schools program has already touched the lives of over 200 students, with half reporting reduced health issues based on check-ups and treatment conducted at the start and end of the school term.